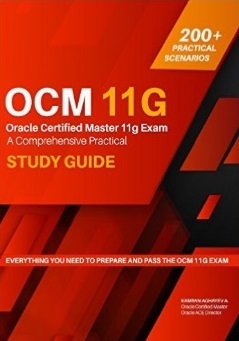 The Enterprise Manager Grid Control 10g base releases used a fixed end date for the root certificate used to setting up secure communications via the Secure Socket Layer (SSL) protocol. The fixed date used is the 31-Dec-2010 00:00:00 UTC. 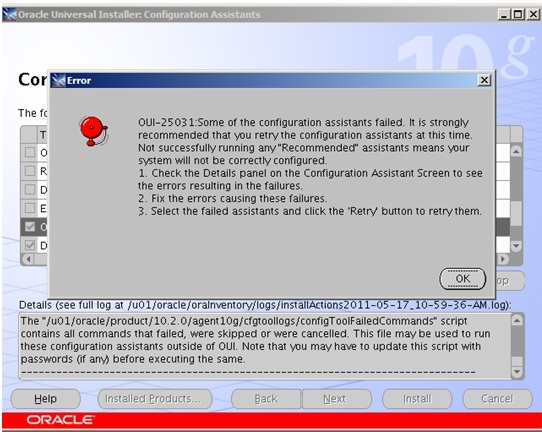 The certificate expiration will cause errors to occur if you attempt to install these releases on or after 31-Dec-2010. Oracle Management Server is Down. 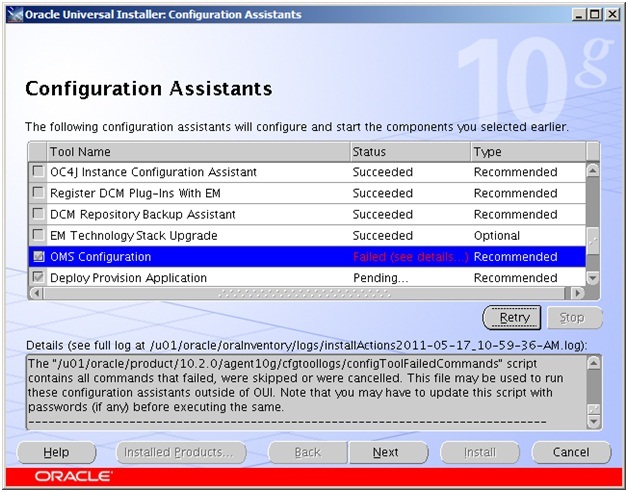 OPatch detected non-cluster Oracle Home from the inventory and will patch the local system only. Inventory check OK: Patch ID 8430622 is registered in Oracle Home inventory with proper meta-data. Files check OK: Files from Patch ID 8430622 are present in Oracle Home. OPMN processes already stopped… Done. the Repository. 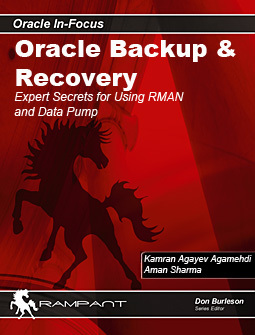 This operation will replace your Enterprise Manager Root Key. Generating Enterprise Manager Root Key (this takes a minute)… Done. Fetching Root Certificate from the Repository… Done. Generating Registration Password Verifier in the Repository… Done. Generating Oracle Wallet Password for Enterprise Manager OMS… Done. Generating Oracle Wallet for Enterprise Manager OMS… Done. Generating Oracle Wallet for iAS HTTP Server… Done. Updating HTTPS port in emoms.properties file… Done. 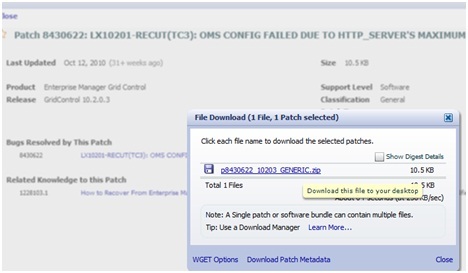 Generating HTTPS Virtual Host for Enterprise Manager OMS… Done. Oracle Management Server is Up. Now switch to the windows where you got the error, click on Retry button. This entry was posted on Tuesday, May 17th, 2011 at 11:43 pm	and is filed under Administration. You can follow any responses to this entry through the RSS 2.0 feed. You can leave a response, or trackback from your own site. My name is Mohammed Alam, i am facing the same problem since last one month, i am realy tired to install Oracle 11g r1 again and again, i formated my Lappy lots of time but showing the same Error – 25031, after read your Blog i tried to download the Patch but its asking for some Code, i dont have that, Please Brother please help me in this, please. 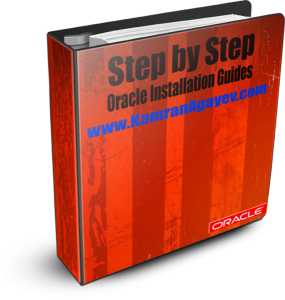 i am trying to install Oracle 11g r1 in my Windows 7 – 32 BIT. Brother i realy want to be a DBA, please Help me . how can i fixed this problem,thanks! Your tuto is best in net. But you could put the patch in your page.